Yet another company innovating on turf Pandora should stake competitive claim to. There's not much more to say. 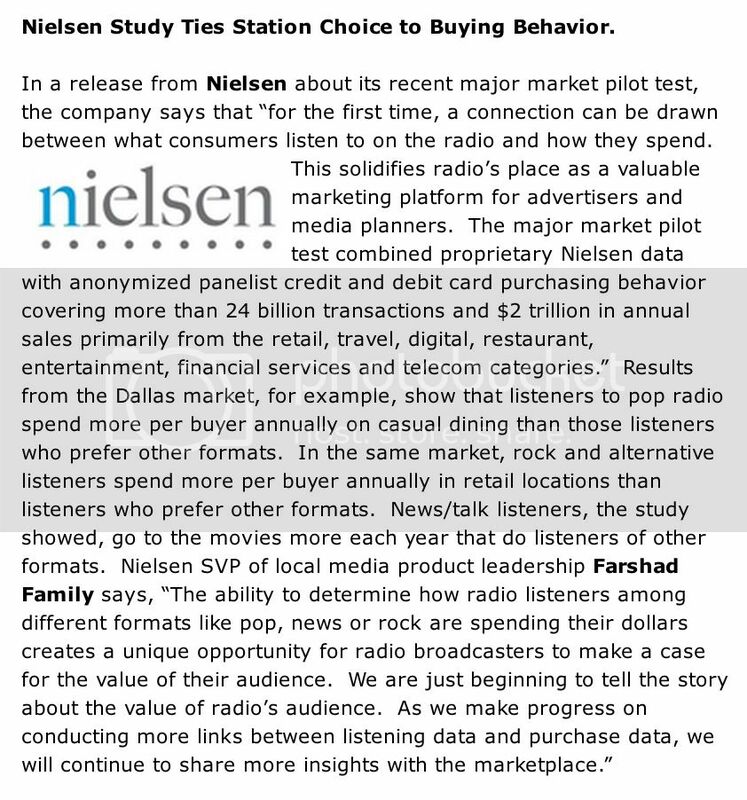 What Nielsen Holdings (NLSN - Get Report) is doing to market the marriage between music, broadcast radio and data about says it all. It's here where Pandora (P continues to drop the ball. If it doesn't act soon and start taking meaningful steps to leverage its data in the name of music, it will embarrass itself (and leave considerable revenue on the table) as it continues to lose ground to names such as Nielsen and Twitter (TWTR, which recently signed a data-related agreement of its own that steps on what should be Pandora's turf.